Stéphane Kintzig, Chief Executive Officer. A people-sized company with the ambition of a big company, people are at the heart of Lille Grand Palais’s business. We dare to always outdo and differentiate ourselves. For nearly 10 years, Lille Grand Palais has put sustainable development at the heart of its concerns. Over a desire to reduce the environmental impact, it is a question of integrating a societal dimension into the company and of impelling an eco-responsible dynamic to our whole business. Our social and environmental responsibility is apprehended by all through actions carried out for our customers and for the employees. It is also important for us to constantly improve the safety and quality of life at work in this world of enthusiasts. 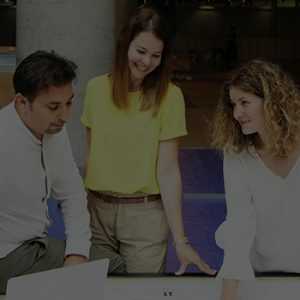 Charter on the right to the disconnection, equality agreement between men and women, company sport, … many concrete actions and projects are put in place to take care of our teams. 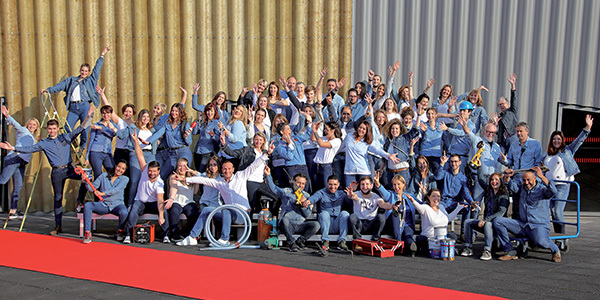 Beyond a team spirit that shows in our work, Lille Grand Palais employees have a spirit of conviviality that is expressed by a desire to gather at the occasion of several incentives and highlights in the year. As an event leader, we put innovation and creativity at the heart of our business and we give the necessary resources to our teams to improve our performance and customer experience. Lille Grand Palais promotes the expression of ideas and dedicates ways to achieve them. We develop collaborative and transversal work, the opportunity for teams to demonstrate their talent, their ideas outside of their daily work. As part of our corporate project, we have voluntary project teams drive tasks such as customer experience improvement, optimising our existing processes, creating innovative hospitality for our customers… Projects which highlight the creativity of our teams at the service of our customers !